The ability to successfully drive your organization forward in today’s economic environment hinges on one thing: financial acumen. 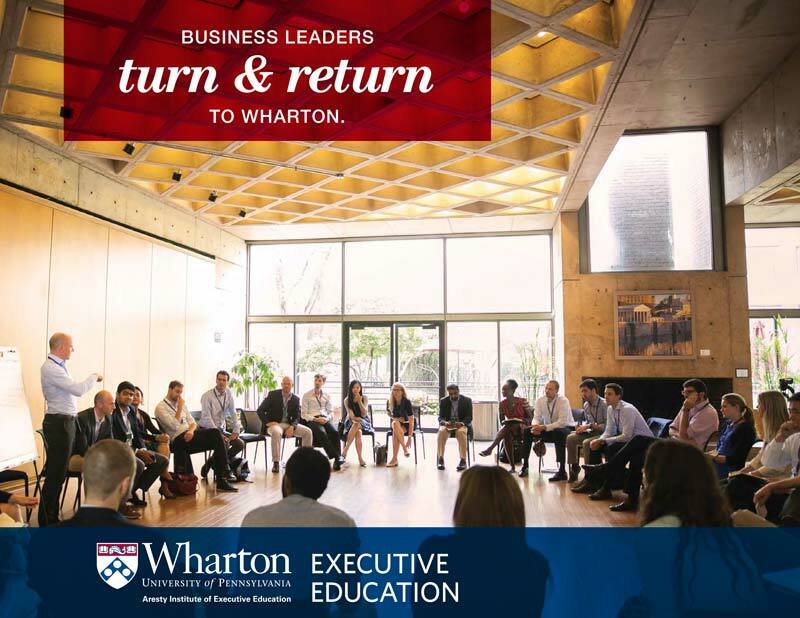 As a worldwide leader in finance education, Wharton Executive Education has the global perspective and analytical prowess no other educational institution can provide. Wharton’s Finance faculty provide world-class instruction, combining academic rigor and real-world business insight that will put your organization ahead of the competition. Our experts will partner with you to help your organization build financial leaders and make the crucial decisions that affect your bottom line. The world-renowned finance experts at Wharton bring extensive industry experience and a diverse global perspective to the classroom. They will partner with your organization and teach your team how to translate financially encrypted complexities into actionable strategies your executives can analyze, communicate, and execute for immediate impact. Another powerful advantage Wharton brings to your organization — our Finance programs are completely customizable. That means our global finance experts will focus on your specific business challenges, your economic climate, and your competitive environment. Together, we’ll show you how to employ intellectual leadership and specific strategies to unlock hidden opportunities and reach beyond your corporate goals. How does a global bank retain its most successful financial advisors while giving them the skills to maximize their effectiveness serving wealth management clients? That was the talent investment challenge facing Citi, a leading global bank with 200 million customer accounts and operating in more than 160 countries and jurisdictions. 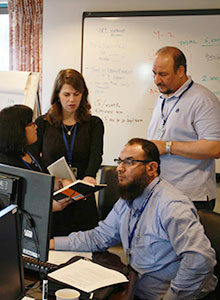 In an industry where retaining top talent is a top priority, Citi needed an executive education partner to give its top-performing financial advisors, or relationship managers, a development program that would strengthen their connection to Citi while growing their leadership and advising skills. Specifically, it wanted a global brand that could help create a path forward for top performers — where they could enhance their business acumen and people skills while staying on the cutting edge of investment best practices. The Citi | Wharton Global Wealth Institute targets the top percentile of Citi’s 3,000 relationship managers worldwide. Offering classroom and online learning, the program includes action learning projects that managers take back to their jobs to enhance the value they bring to their clients.